Today, there is a need for healing that goes beyond just the physical body. The need runs deep into the mental and emotional soul of the human spirit. People are searching for answers for illnesses. They are looking for a way to become whole again. There are many paths to wholeness, many systems to healing. Some people choose to go to conventional doctors and listen to conventional wisdom. Other people choose to go to Alternative practitioners and begin a journey of self discovery and understanding. Reiki, (pronounced ray-key), in the Japanese Character system, is a combination of two separate words. meaning universal, spirit, a boundless essence and meaning life force energy. Together their meaning is roughly Universal Life Energy, or Universal life force energy. Life force energy is resides in everything you see around you, yourself included. All animals, plants, humans, have life force energy. Reiki is not a substitute for traditional medicine. No Reiki practitioner should ever tell a client that they can “cure” an illness or advise their client to stop taking any prescribed medicines or to stop seeing their doctor. This is very bad business, and the Reiki practitioner must stay out of the choices their client’s are making. It is both unethical and illegal to make suggestions such as these to any client. This is the updated history of Mikao Usui, the founder of Usui Reiki. Usui was born on August 15, 1865 in the village of Taniai. At the age of four, Mikao Usui enetered a Tendai Buddhist school where he studied Kiki (a form of Qigong). Later, Usui traveled to Chine and Europe furthering his studies of medicine and religion. Usui married Sadako and fathered a son, ‘Fuji’ and daughter ‘Toshiko.” He became the Secretary to Shinpin Goto, head of the Department of Health and Welfare. Later, he become the Mayor of Tokyo and a member of the Rei Jyutu Ka, a metaphysical group that was dedicated to developing psychic abilities. In March of 1922, Usui was upset with both a failing business and a failing personal life. He went to Mt. Karama to fast, meditate and repent. He was looking for a solution to his problems. So he enrolled in the 21-day training that was offered at the Tendai Buddhist Temple which was called, Isyu Guo. It was during this training period that Usui received the answers to his problems, Reiki. Usui realized that he had not only received a spiritual awakening, but also the ability to heal. · Okuden (Second Degree). Translated, this means, “Inner Teaching.” It was taught in two parts: Okuden-Zen-Ki and Okuden-Koe-Ki. · Shinpiden (Master Level). Translated, this means, “Mystery Teaching.” It was taught in two parts: Shihan-Ka Ku (assistant teacher) and Shihan (venerable teacher). It was said that Usui only taught three symbols, the same ones that we have been using in Level Two training. Somehow, others were added to the system later. When Tokyo suffered a devastating earthquake in 1923, Usui and his students went to the area to help those affected by the disaster. This caused a great interest in Reiki by those who were most touched by it, or who witnessed the great affects that Reiki had on those who were suffering. The interest in receiving and learning Reiki grew so much that Usui ended up building a larger clinic in Nakano, Tokyo. You will find variations of these admonitions in many writings and teachings. But the underlying theme and intent will remain the same. A student of Usui-Sensei, Hayashi was a medical doctor in the Navy. 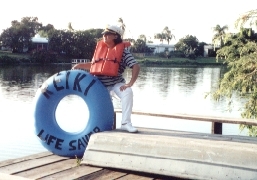 After receiving his Reiki Master training, Hayashi opened his own Reiki Clinic and school called Hayashi Reiki Kenkyukai. Hayashi-Sensei recorded his treatment plans and kept a diary of what hand positions worked best for certain conditions. He recorded his findings in the Reiki Ryoko Shinshin, which translated means, Guidelines for Reiki Healing Method. Up until this time, Usui had his clients sit in a chair to receive their Reiki session. Hayashi-Sensei had his clients lay on a table instead. He also used several Reiki practitioners at one time to treat the client. Prior to World War Two, Japan was gearing up for their attack on the United States and called in Hayashi to give them some strategic war information. Hayashi refused and was called a traitor. Since he no longer wanted to take part in war but wanted to save face for himself and his family, he performed the traditional ritual suicide called Seppuku on May 11, 1940. Hawayo Takata was born of Japanese immigrants on Dec. 24, 1900 on the Island of Kauai, Hawaii. Widowed at an early age, Takata worked hard to support herself and her children. When she was diagnosed with a tumor, instead of choosing surgery, Takata went to Hayashi’s clinic for help. Once there, Takata received treatments from two practitioners every day. In four months, Takata was healed and began to receive her level one training into Reiki. After working for Hayashi-Sensei for a year, Takata earned her level two degree. In February of 1938, Takata became a Reiki Master. She established a clinic in Hilo on the Big Island and began to teach and give treatments. Up until 1970, Takata did not give out the Master initiation to her students. But after this time, she decided to offer the initiation into Reiki mastership along with a hefty price tag-$10,000. She died on December 11, 1980 leaving behind 22 Reiki Masters. Her granddaughter Phyllis Fuoromoto took on the title of Grandmaster and created the Reiki Alliance, which is still operating today. There is still much discussion about the correct lineage of Reiki and there are those that claim that the title of Grandmaster was never passed to her. Some believe that Reiki never left Japan and that the Reiki information that left Japan has changed and become ‘Westernized.” This is true in many respects. While some things have been added, other things have been deleted. It is very hard today to find true Reiki practitioners. I have had so called Reiki masters visit me and not even be able to pronounce Usui’s name, or able to identify a picture of Usui. This is a very sad and disrespectable thing. It makes us all look bad and it does nothing to help with promoting Reiki and it is not even valued by the person taking the training to learn how to pronounce it or to identify the creator of the system. It is a real shame indeed. It is my hope that my students will value the Reiki energy as I do, will love and gratefulness. It is a gift that keeps on giving. Many thanks for the hard work and research done by such Reiki practitioners as Hyakuten Inamoto (from who I received Komyo Reiki from) Frank Arjava Petter, Tadao Yamaguchi, and William Rand, among others. For a more complete history, please visit Rand’s website at www.Reiki.org. Order your Usui Reiki Level One book today! NOTE: If you are one of my Reiki Masters, you can purchase these books for your own training and certification classes for only $10 each plus postage. Drop me an email along with your needs and I will send you a private link for ordering. Choice of three different lineages and manuals. My Reiki Master (HOME STUDY) Certification which includes ALL three levels of training in three seperate books, DVD instructional DVD, three attunements and 3 certificates. Learn hand positions for healing self and others. Information on the chakras is included in the DVD.